Be Part of our First National Small-dollar Donation Campaign for Girls! Let’s build a better world, for all of us, together. The time to invest in girls’ leadership is now. Studies have consistently shown that one of the most effective ways to boost a nation’s economic output, enhance productivity, and improve the overall vibrancy of society is to invest in the leadership capabilities of girls and women, yet financial support is lacking. Something has to change! That’s why Girl Scouts of the USA is challenging everyone to invest in girls and their leadership potential through ToGetHerThere: The Girl Scout Challenge—the organization’s first national small-dollar donation campaign with a mobile giving option and the largest philanthropic effort in the world for girls. Let’s do this! The campaign, which runs November 15 through December 2, also marks the first time Girl Scouts across the country will have a national platform active during Giving Tuesday on November 29! Leading up to this worldwide day of giving, GSUSA will spotlight the real-life, awe-inspiring stories of Girl Scouts across the country who activate their inner G.I.R.L. (Go-getter, Innovator, Risk-taker, Leader)™ to make a demonstrable difference in the world. At Girl Scouts, we know just a fraction of our membership dedicates a whopping half a million hours of their time to positively impacting the world—wow! It’s a fact. 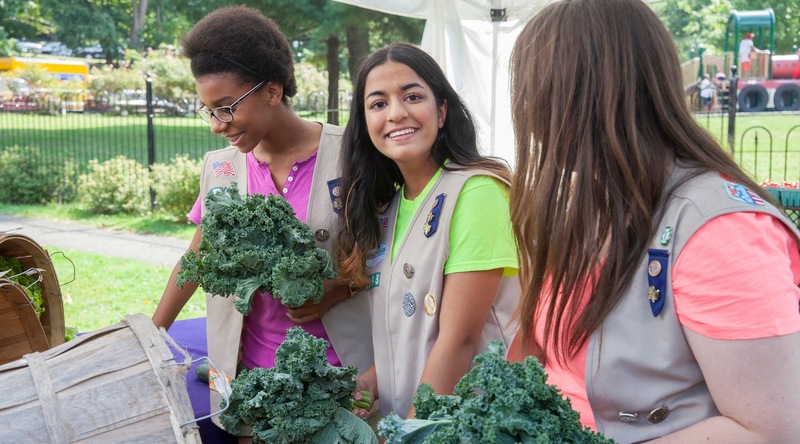 Girl Scouts are the leaders and change makers of today and tomorrow, but they need our support to continue doing amazing things for their communities and the world. Your investment supports impactful and transformative girl-led programming that combines life skills, STEM, the outdoors, entrepreneurship, and civic engagement. And with small-dollar donations, it’s that much easier to support the Girl Scout Movement and contribute to the skill-building and leadership development of girls everywhere. Now is your chance to do something BIG for girls everywhere! Learn more about how Girl Scouts build a better world, and donate online today at girlscouts.org/investingirls. Or text “InvestinGirls” to 41444.